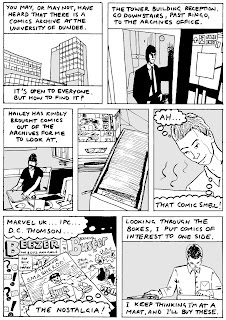 This new comic was edited by Hailey Austin, inspired by her time working in the University of Dundee Archive and Museums. It's being launched this Thursday 5pm at the Dundee Comics Creative Space. The comic features Hailey Austin, Elliot Balson, Zu Dominiak, Katriona Gillon, Matthew Gow, Eve Greenwood, Olivia Hicks, Rebecca Horner, Calum Laird, Catriona Laird, Norrie Millar, Nicole Munogee, Chris Murray, Golnar Nabizadeh, Megan Sinclair, Faye Stacey, Letty Wilson, and Adina Ziebart. 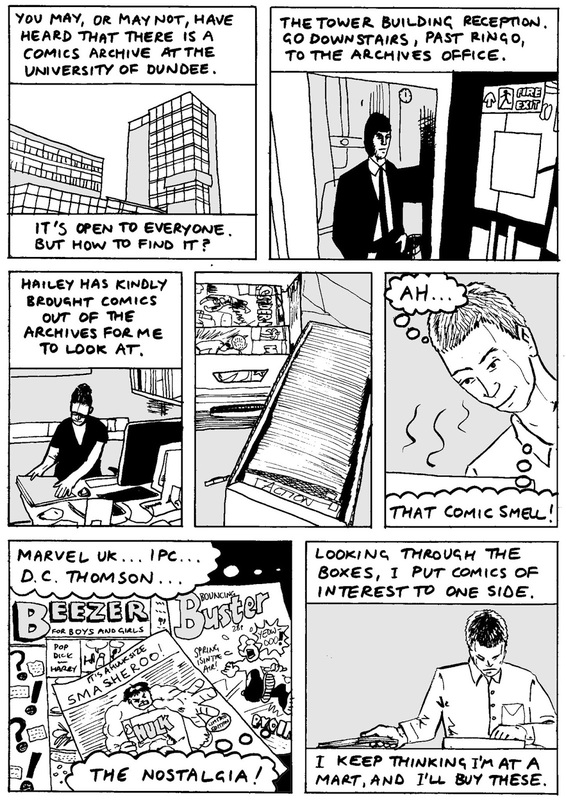 My story, "Into the Comics Archive" is included too. Another comic book - one that I conceived, wrote and drew for Universe Publications - is also being launched that evening. More details on that one tomorrow.